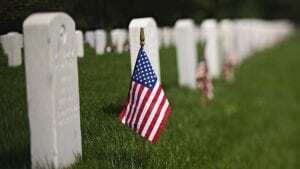 In this post: We will take a pause from the norm and look at why Memorial Day is an important National Holiday and look at some recent Investopedia Advisor Insights. 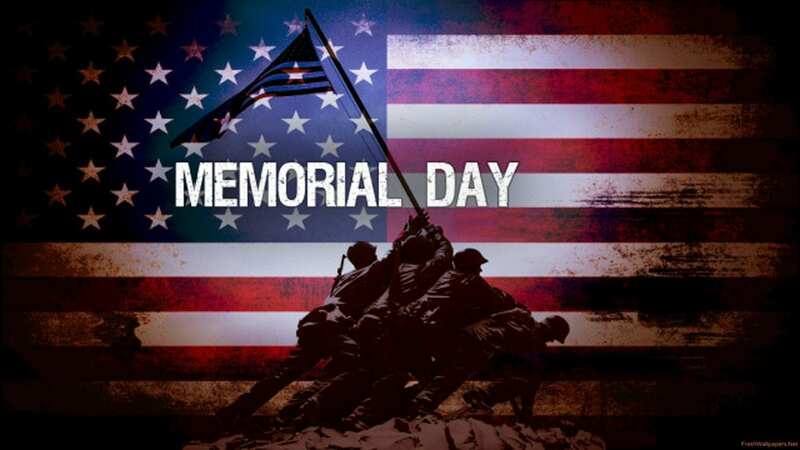 Memorial Day is set aside as a national holiday for people in the U.S. to reflect on the lives that have been lost while protecting our freedoms. Many people, of course, get Memorial Day and Veterans Day mixed up or confused. The difference being that Veterans Day was set aside as a day to honor ALL service members both living and dead. For many, Memorial Day weekend marks the beginning of the summer vacation season, BBQs, and the great outdoors. I happen to be one of them, as I look forward to a weekend of camping at one of my favorite spots in the Rocky Mountains. However, in the midst of fishing and beer drinking, I will keep the memory of the those who gave the ultimate sacrifice to make sure that I can have these wonderful freedoms. Though I am not a service member, I take great pride in honoring these very holidays in the appropriate manner. With that being said, please try not to wish anyone a “Happy Memorial Day,” as this is not only contradictory, but also disrespectful. When a human being dies, no matter the reason, you would never expect it to be a happy event. As I am writing this post my email inbox is filling up with special deals from retailers and restaurants trying to capitalize on the long weekend, and of course, the messaging is, “Happy Memorial Day Weekend.” In this Politically Correct world we live in today, why isn’t anyone standing up, causing a stink about this? Let’s stop taking things for granted, get educated, and appreciate the sacrifices our service members make so we all have the opportunity to live in peace and enjoy all the freedoms of this great country! Have an awesome weekend, be safe, and take a moment to Honor Memorial Day! How should a young professional look to invest his savings? I’m 25 years old. I have no outstanding debt. I have a healthy emergency fund, I’m maxing out my employer’s 403(b) contributions, and I make about $95K/year. In addition to my emergency fund, I have around $35K sitting in my savings account making 1%. I want to invest this money in order to see it grow a little more. How do you recommend doing this? I don’t envision needing any of this money for at least 5 years. I’ve researched different kinds of advisors, and it appears that I either don’t meet the account minimum, or there are large upfront costs. I’m not particularly investment savvy, so I will need some help choosing the right investments. Is there something a little more hands-on than a robo-advisor, but less cost-prohibitive than a CFP? First of all, great job placing priority on your financial future! There are tons of options when it comes to investing and working with an advisor. If you are an individual that does not like to handle your own investment decisions, there are firms that are dedicated to helping young professionals, like yourself, plan for a successful financial future. I would look for a fee-only firm that understands your unique needs and ideals as a Millennial, one that does not require any minimums, and one that puts an emphasis on financial planning. This day and age it is becoming more common to work with a financial professional, remotely, utilizing technology to connect from anywhere in the world. This may be a value-add for a young professional that enjoys traveling frequently or one that is not tied down to any one location or city. Starting a relationship with an advisor that can work with you from anywhere will allow for a continuous relationship no matter the changes in your life. I am a member of the XY Planning Network, which is committed to serving the needs of the next generation of investors, and you can find a professional to work with by clicking here. The advisors on the network are all fiduciaries, putting your best interests first, and do not sell any products or earn any commissions, thus, avoiding any conflicts of interest. I hope this has been helpful! Keep it up and you may end up on FIRE, financially independent retiring early! Am I entitled to any of the growth in my ex-husband’s IRA? My ex-husband purchased an IRA and a Roth IRA prior to us getting married. He never contributed to them after the initial purchase, but they have grown over the years. Do I get half of the growth after our marriage date or is that considered separate property? This is a great question. Retirement assets are split through a process called a Qualified Domestic Relations Order, or QDRO for short. This order will determine what assets should be delegated to the parties involved. However, it really comes down to your individual situation and what is set forth in the divorce decree. With that being said, you are typically entitled to half of the total balance, both principal and growth, that was accumulated during your marriage. Most states defer to a 50/50 split of assets between spouses during a divorce. Keep in mind any contributions and growth accumulated prior to marriage is left out of any of the calculations unless otherwise determined by the decree. One of the unique traits of assets divided by QDRO is the accessibility without penalty. Typically, if you are not age 59 1/2 and take a withdrawal from a retirement account, you will be penalized 10% of your withdrawal. In the case of QDRO, the penalty is waived. A divorce attorney should be able to tell you the specifics of your situation and walk you through the state’s requirements for assets in case of divorce. Are we strong candidates to consolidate our retirement funds? My wife and I (in our low 50’s) have 401(k) accounts from 5 different employers. We also both have IRA accounts, individual stock accounts, and other various mutual fund accounts. Altogether, I count 33 different mutual funds and 5 different individual stocks. I recently performed an exercise to ensure the fund fees were all below 1%; in fact, most of our fees are below 0.7%. We are generally satisfied with their performances as well. Still, should we be moving to consolidate and if so, are there general guidelines as to where we should be moving everything and how to go about doing it? Fantastic question and thank you for asking! You may be strong candidates for consolidating, but there are a couple of considerations before doing so. The fees that you have on the accounts seem reasonable, however, there may be some additional fees to consider. In addition to looking at the expense ratios of the mutual funds, there may also be administration fees and servicing fees attached to these 401(k) plans If, indeed, there are other fees on the retirement plans that you have not noticed or been aware of, your decision to consolidate may be more clear. Also, take note of any fees attached to any IRAs that you are considering, like any annual admin fees or fees for closing the account. Of course, fees are not the only reason to consolidate. The investments themselves may need some attention. The biggest concern for your portfolio may be overlap and the concentration of your dollars to certain asset classes. You may be way overweight in US Large Cap stocks, which is a common issue for folks with multiple retirement plans and mutual funds. This over-concentration could affect your returns as well as your risk profile. Another big consideration is peace of mind. If having your money scattered all over the place causes undue stress or anxiety, then absolutely, you should consolidate. Many folks talk about the numbers and often overlook the mental health side. I am a firm believer that you can make better money decisions and take better action on your portfolio if you are in a place of peace, as opposed to anxiety. Lastly, if you are self-managing your investments at this point and you are spending too much time or are starting to have more questions about what retirement is going to look like from a drawdown perspective, it may be time to consider hiring an advisor to help get you to and through retirement. There are many advisors that are fiduciaries, that do not sell products, that can truly help you and may be able to reduce your fees even further.